We present "Taxi Podgorica Montenegro" cheap transfer service where you will always get a favor more. New, comfortable and always clean cabs at your disposal non-stop for airport pick-ups and long-distance journeys. Most courteous and fully licensed drivers guarantee a comfortable and safe taxi rides from/to Podgorica. Online transfers booking for any purpose. Professional tours without reservation tax and any payment before you arrive at your destination. Organize your ride on time no matter what occasion is. Business or family trip, resort transfer, excursion, minivan and minibus shuttle, you can fully count on our support. Whether you need a personal or business transportation in Podgorica, to go to any destination, please feel free to contact us. This taxi association in Montenegro is professional and accountable organization, backed by years of experience in the field of passenger transport. You only need to contact us, and we will responsibly arrange your cheap taxi from Podgorica city to the airport, or to other destination in Montenegro or abroad. All scheduled transfers in Montenegro are private, you will not share the vehicle with other tourists. Podgorica taxi service contact at phone number +382 67 246 109 from 07:00 – 23:00. Send email 24/7 or SMS if it is easier for you. Free applications like WhatsApp and Viber available at the same phone number. The simplest way is to use our online booking form to schedule your transportation from/to Podgorica. You can book your voyage up to six months in advance. All our taxi prices in Montenegro are fixed, and there is no extra charge. All costs for taxes, tolls and insurance are included in all prices. Price-List is valid for the year 2019th, and all prices are per vehicle 1-4 passengers. 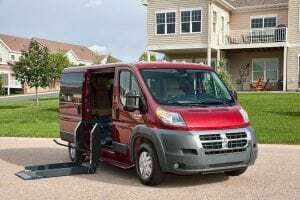 We are providing transfers using comfort class vehicles and minivans. New VW Passat, Mercedes E class, Audi A6 and similar cabs are waiting for you. All reservations are absolutely free of charge. You will pay your inexpensive Montenegrin taxi when you arrive at your destination. All passenger luggage is also free of charge. At your request baby seat is available without extra fee. If you have a bigger amount of luggage, station wagon cab can be booked without surcharge. Taxi in Podgorica you may also use to travel from other locations towards Montenegrin capital. Just to confirm, you will pay a ride in one way. Our chauffeur will wait for you at the airport exit, reception desk or other scheduled meeting point. He will provide you with an excellent transport through Montenegro or to any resort in neighboring countries. Dispatch center of our transfer service in Podgorica is staffed 24 hours a day. Please write an email using English or Montenegrin language. Friendly and responsible staff will receive your online request and proceed according to the procedure. We will send a feedback as soon as possible. Traveling from or to Podgorica using our taxi company we guarantee stress free journey, pleasant voyage with real professionals. If you are for the first time here and you want to meet the city, we can organize and beautiful taxi ride in Podgorica, largest city in Montenegro. Inform us about the number of persons, pick up details and we will organize transportation at the highest level. 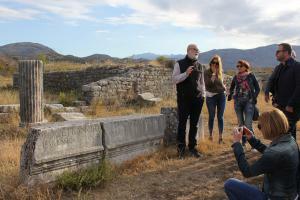 How much time you will spend, what to see, check here Podgorica sightseeing tour. Among the many others, this is the one of very often questions which our representatives have to explain. But after a couple of days spent in the capital, it's generally concluded that they do not need such a service. Local drivers are very cheap and you do not need to look for an alternative. Find why there is no Uber taxi in Montenegro. Many travelers have a need for a transfer from Podgorica to some of neighboring Montenegrin countries. Public journeys by bus and train are very limited, and by plain you can fly only to Belgrade – Serbia. 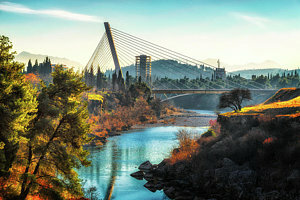 If you want to explore more Balkan destinations, or need a business ride see here how to travel from Podgorica to foreign countries. How to move around through the city? 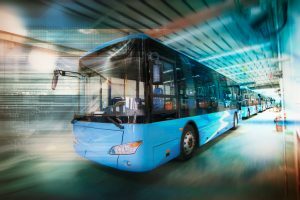 How is organized public transport and what is better to use? Where are bus stops, in which directions buses driving? Is local taxi service available in Podgorica after midnight and at which price are transfers? This are the most common questions of many travelers. Reed more about Podgorica local transport. How to travel from the capital to the other destinations? 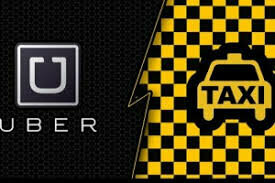 Is taxi appropriate choice, or you have to look for other solution? Maybe you to check transportation prices first. For a sure you will be surprised when realize that rides cost just a bit more than half of Euro per kilometer. Check how to have a transfer to other cities in Montenegro. 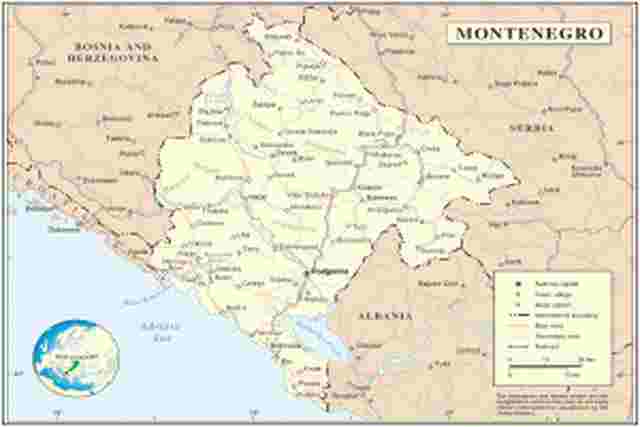 In this text you can find some basic information about the capital of Montenegro. Learn about culture and history, and also find out some geographic and demographic information. For those who are coming by car, check how and where you can be informed about road conditions or get a help. Reed here more information about Montenegrin capital. Transportation for disabled people is very difficult to find even in larger metropolises. Then you can imagine how it is in the city which has 200,000 inhabitants. Still, we can help if you with this transfer in Montenegro. Just send inquiry and we will offer best solutions. Please read this article about taxi for handicap persons in Podgorica. Each of our taxi drivers from Podgorica is qualified to provide you with some basic information about the places you passing through. But if you want to explore Montenegro a bit more, then visit website My Guide Montenegro. Local information about attractive spots in Montenegro can be found here, provided by the first-hand experience written by their professional team.